The past week has been very difficult indeed. With my foundation running out last week, my makeup has been very minimal focusing mainly on the eyes to distract myself and others away from my poor pink-undertoned skin. I’ve been craving new makeup and indulgent shower products but I have resisted the temptation. My mum was lovely to me and purchased a bottle of the new Nivea In-Shower Moisturiser for us to try, look out for a post later this week as I have a lot to say about it! I took part in the Retail Royalty Challenge, my post can be found here, and was given £30.00 by Moneysupermarket.com to spend on items for a charity of my choice. That was fun for me as I chose a cat shelter and was craving spending money but luckily it wasn’t for me! Overall the past week has been very basic and cheap. I have been cooking at home and over the weekend attended a barbecue at a friends so didn’t spend any money. I also went to the cinema to see the Blood and Icecream Trilogy, which I didn’t pay for. Teehee! To me, Summer in London means making the most of the surrounding green spaces, be it St James’ Park or Wimbledon Common. Grabbing friends, heading out and chilling in the sun with amazing food and drink! All you need is good company! Cheesy I know, but I won! And the prize? A round of cocktails for myself and four friends on the balcony at the Icebar! We headed there on the weekend, got out round of drinks then treated ourselves to the half price menu, oops! Well I deserved it! I spent just £11.00 on cocktails that day. I’ll be doing a full post on my experience there later this week so look out for that! 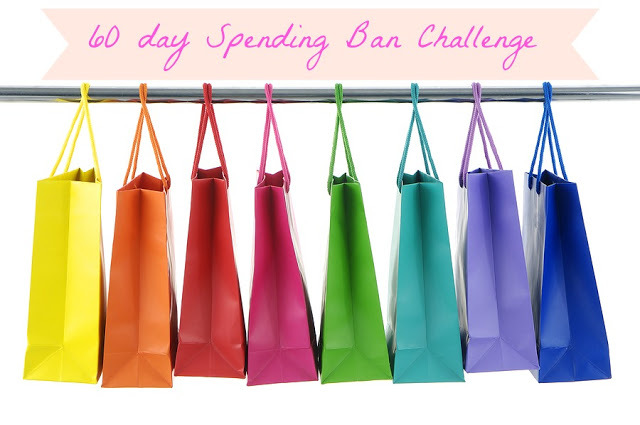 Are you joining in on the spending ban challenge? I’d love to see your updates and how you’re doing if you are!